I’ve been visiting the Algarve for the past 3 years and part of the appeal for these holidays is doing a whole lot of nothing. We’ll spend the morning lazing around the pool and the afternoon going for a little drive and stumbling upon gorgeous beaches. 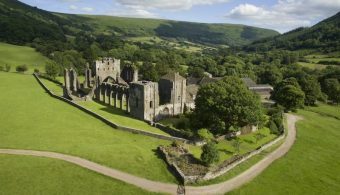 We don’t make much of a plan and don’t have a big list of ‘must-see attractions’ or places we simply have to visit. 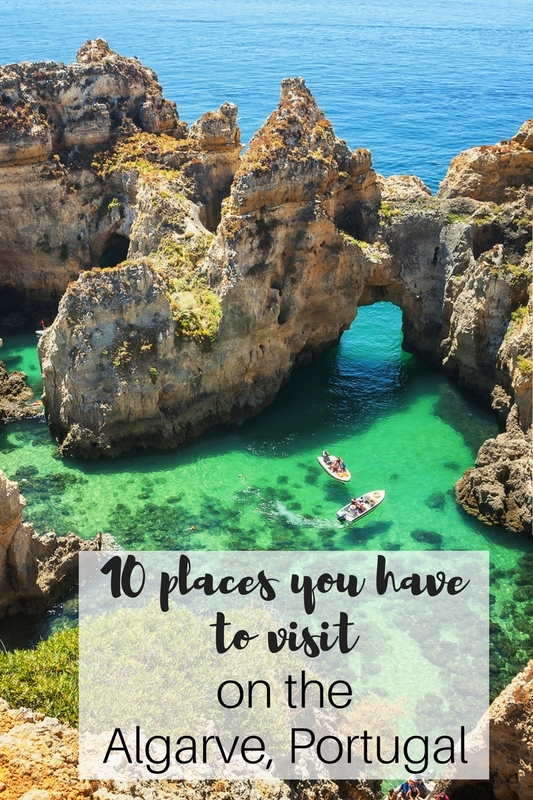 But over the years we have found a few favourite spots on the Algarve and these are the places I’m sure we’ll be returning to next time we visit. Here some of my favourite restaurants, bars, beaches and sights on the Algarve. This super stylish beach bar has such a cool atmosphere. It’s where the beautiful people hang out but it’s also really welcoming, has a great menu, really friendly staff, a beautiful beach and it’s also child friendly. There’s a little play park at the back and they give the kids colouring books to keep them quiet while you enjoy a cocktail. Go for the deliciously fresh fish but stay for the homey and welcoming atmosphere. This is the kind of place where people arrive at 7pm and stay until midnight. They don’t expect you to get up and leave once you’ve eaten, they actually expect you to order another jug of wine and start chatting to the other people around your table as you enjoy the sound of the waves crashing on the shore. Beach Bar Burgau overlooks a gorgeous beach. Get yourself a seat on the decking or on one of the sun loungers below and order yourself an ice cold beer. We found this to be a nice place to base ourselves when visiting the beach with kids. Babies and beaches don’t go so well together so it was nice to have a shady, comfortable and non-sandy spot! 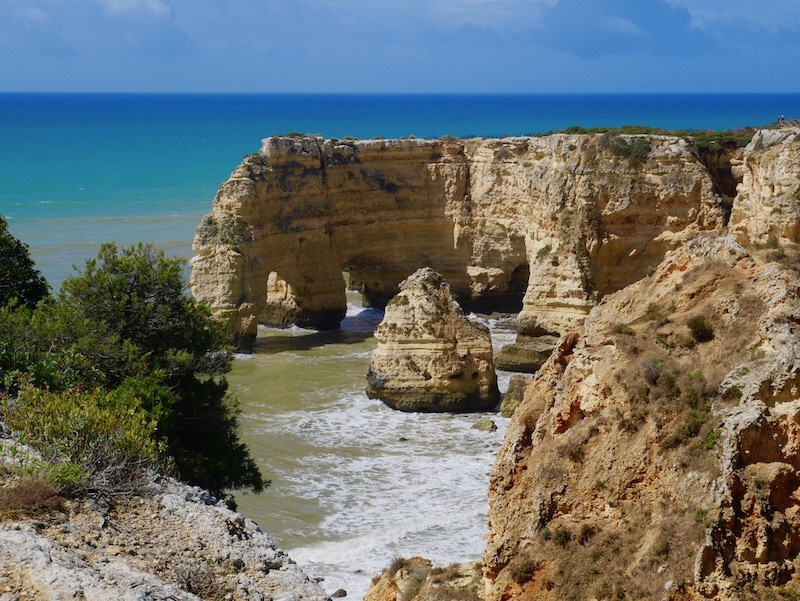 You can’t visit the Algarve without visiting this stunner of a beach. It’s an enormous surfing beach backed by sand dunes. A pretty boardwalk down to the beach and to a gorgeous viewing area make it particularly special. Read more about Praia da Bordeira in my last blog post. OK, it might not be traditional Portuguese food but it’s fresh, healthy, delicious and unusual. I’d describe Micro Bar to be like a vegetarian restaurant that serves meat. It’s colourful and healthy and in the loveliest setting in the little town of Carrapateira. You need to take a boat out to Benagil Caves (accessed from Praia de Benagil – it’s well signposted) and you’ll be met by this amazing scene. We were unlucky on the day we tried to visit and the sea was too rough for the boats to leave. I’d recommend trying to visit as early in your holiday as possible so you can give it another go if boats are cancelled. Even if the sea is too choppy, Praia de Banagil is a lovely little sheltered beach so you could stay and enjoy the beach. Decribed as one of the most beautiful and emblematic beaches on the Algarve, Praia da Marinha is definitely worth a visit! According to TripAdvisor it’s the best beach in Portugal and those epic arches make it oh so Instagrammable. Carvoeiro is the town we stayed in during our first trip to the Algarve and it was probably our favourite spot. The lovely little town is bustling enough to keep you busy without feeling too big and touristy. The beach is really nice and there are lots of restaurants to choose from. This is one of those places where you can’t quite believe that nature did this. Natural carved these enormous rocks into such gorgeous formations. The emerald green waters and soft, golden sand are just the icing on the cake. This lovely beach bar in Albufeira ticks every box. Stunning location, great food, stylish décor, lovely staff and a beautiful beach! It’s also good if you’re dining with kids as they can play on the beach and you can see them from your table. I’ve only been to the Algarve once but I fell in love with it and know I want to go back for a relaxing break at some point. 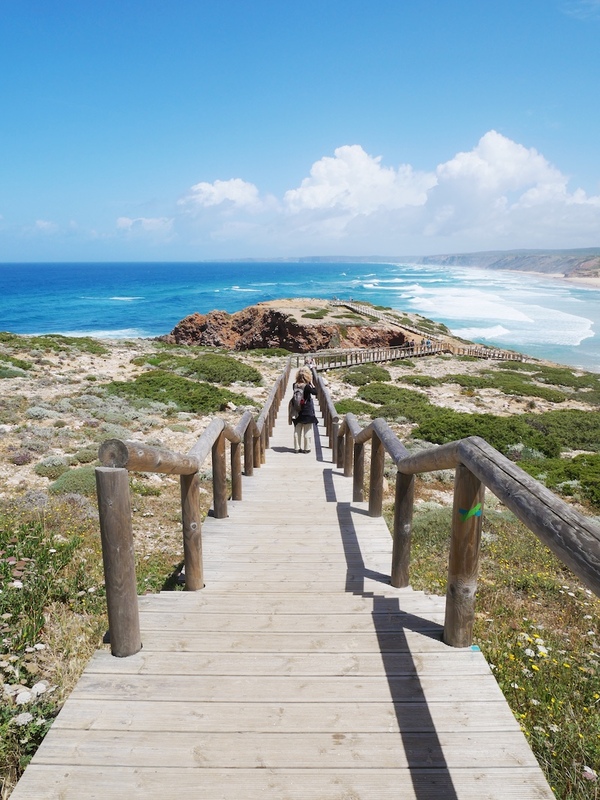 Some of my favourite places (we were in the Eastern Algarve) were Tavira, the roman ruins at Estoi and Restaurante Baixamar in the small town of Santa Luzia – as well as all the incredible beaches! Hello, I am planning for Algarve Holidays but surely I would not like to waste time on restaurant and bars. Thanks for great idea about restaurants which might be time saving on holidays but please do add some interesting places to visit. The beaches pictures are very nice and the Benagil Caves was really interesting.